"My Moody strap is incredible; with all the movement I do on stage, it makes me feel like I'm not wearing my guitar. Flipping a Fender Stratocaster upside-down acclaimed singer/songwriter/lefty guitarist Malina Moye is a quadruple threat who has carved out her own lane as one of the few artists in history able to straddle both Rock and Soul genres, filling a void in the entertainment industry. 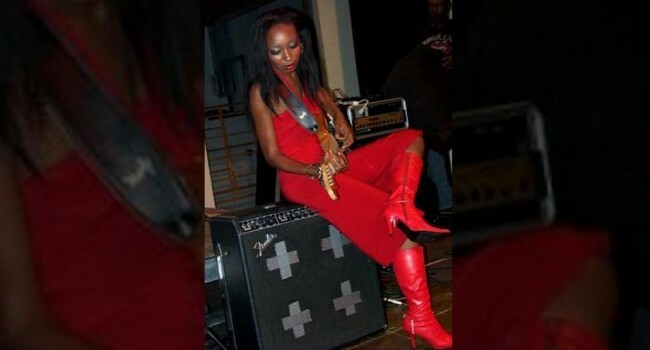 Moye’s music narrative boasts an impressive resume that includes performing at the Rock & Roll Hall of Fame, being the first African-American woman to play the National Anthem on electric guitar at a major sporting event, to opening up Grammy-Award-winning artists such as Robin Thicke, Boyz II Men, and legendary rock group Journey to name a few. With an electrifying stage show, Malina and her band deliver an intoxicating fusion of R&B, Rock and Soul. Her critically acclaimed LP Diamonds & Guitars reached number 35 on Amazon.com and iTunes respectively, showcasing an eclectic pallet of music while preserving its mainstream appeal.